When a patient first asked Dr. Reggie Anderson to sit at her bedside as she passed from this life, something miraculous happened. As he held her hand, the veil between this world and the next parted…and he received an astonishing glimpse of what awaits us in heaven. Little did he know this was just a foretaste of what was to come - a lifetime of God-given "appointments with heaven." Join Reggie as he shares remarkable stories from his life and practice, including the personal tragedy that nearly drove him away from faith forever. Jim was never a religious man. When it came to matters of God and faith, he was ambivalent. But as he lay in the hospital bed, clinically dead for more than 11 hours, his consciousness was transported to the wonders of Heaven and the horrors of hell. When he returned to this world, he brought back the missing piece his soul had been longing for. A deadly medical mistake sent a navy sailor to the presence of Jesus in heaven. He returned from his near-death experience with new eyes to see the kingdom of heaven in this life. Now he wants to help you experience heaven on earth today. 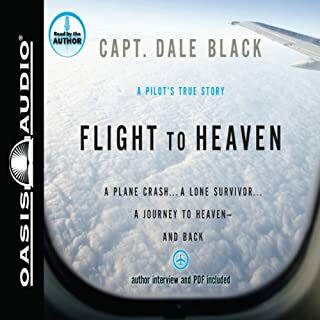 At age 19, pilot Dale Black miraculously survived an airplane crash that killed the other two pilots on board. Hovering between life and death for three days, he had a breathtaking experience of heaven. Against all odds and with insurmountable injuries, Capt. Black recovered from his injuries and returned to fly airplanes as a professional pilot. For 40 years he kept the story to himself at the urging of his grandfather to "live" his experience rather than talk about it. In this remarkable true story of spiritual transformation, Dr. Parti provides rare details of heaven, hell, the afterlife, and angels. 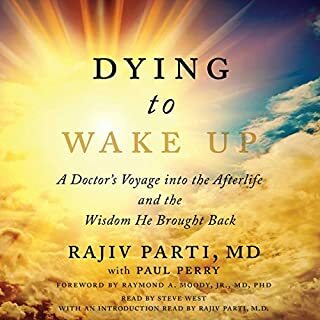 In sharing the lessons and eternal truths from the divine that changed him forever, Dr. Parti offers his audience the opportunity to attain peace and live better lives here on earth. These true stories are your unique, personal opportunities to enjoy a taste of Heaven from here on earth. 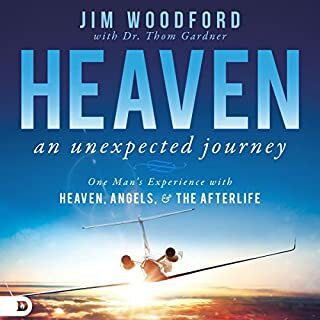 Heaven Is Beyond Your Wildest Expectations shares the testimonies of 10 ordinary people who have been to Heaven - having died and returned, or in a vision or dream. These real-life, modern-day stories inspire faith that, no matter what happens here on earth, all troubles are momentary, light afflictions compared to the glory that awaits you in Heaven. I loved this book amazing !!!! When a massive pileup on an Arizona highway caused Valerie Paters and her Jeep to be entombed beneath a semi-truck in a blinding snowstorm, it seemed certain that her life would soon end. Once extracted from the mangled metal, and suffering from massive injuries, Valerie was hospitalized and placed on life support while doctors waited to harvest her organs. But Valerie was more alive than she had ever been. Dr. Mary Neal's unforgettable account of a 1999 kayaking accident that took her life, and what happened next, has riveted more than a million listeners. But something happened as she shared her story in the years since. Not only did Neal realize she had more to tell, she discovered she had yet to answer the biggest question of all: How does knowing heaven is real change our lives on Earth? I needed this book. thanks Doctor. By: Raymond A. Moody Jr. In Life after Life, Raymond Moody investigates more than 100 case studies of people who experienced "clinical death" and were subsequently revived. First published in 1975, this classic exploration of life after death started a revolution in popular attitudes about the afterlife and established Dr. Moody as the world's leading authority in the field of near-death experiences. Who Is Going to Be There Because of You? This is the audiobook for which you've been waiting! Picking up where best-selling 90 Minutes in Heaven left off, Don Piper reveals for the first time the sacred, intimate details of the people who met him at the gates of heaven and the profound impact they had on his faith on earth. In 23 Minutes in Hell, Bill Wiese describes a horrifying and life-changing encounter with death and the powers of darkness. 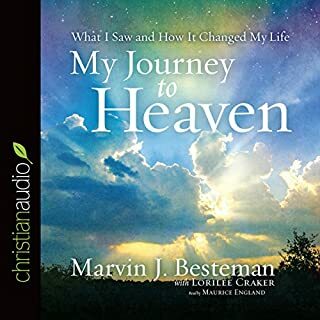 This audiobook is his personal account of an experience fraught with true fear and evil - his struggle with the devil's disciples faced during his 23 Minutes in Hell. Believe it! It is true!! Evidence of the Afterlife shares the firsthand accounts of people who have died and lived to tell about it. Through their work at the Near Death Experience Research Foundation, radiation oncologist Jeffrey Long and his wife, Jody, have gathered thousands of accounts of near-death experiences (NDEs) from all over the world. At the age of 31, Betty Eadie died after routine surgery. The events that followed can only be described as the most profound and extensive near-death experience ever recorded. During the time she was clinically dead, Betty was given knowledge of the afterlife that would make even the greatest skeptic think twice. As she traveled through the spiritual realm, she learned more about the laws and history of the universe than perhaps anyone before her. Is there life after death? After a tragic accident, doctors pronounced Richard Sigmund legally dead. Eight hours later, God miraculously brought him back to life on the way to the morgue. During those hours, God allowed him to experience the glorious beauty, heavenly sounds, sweet aromas, and boundless joys of heaven that await every believer. God then returned him to earth with a mission to tell the world what he saw. You will thrill to Sigmund's eyewitness account of strolling down heaven's streets of gold, seeing angels playing with children, talking with Jesus, meeting with people from the Bible and departed family and friends, seeing the mansions, and much more! Through Sigmund's testimony, God has restored sight to the blind and hearing to the deaf and has even raised several people from the dead. Also, you will catch a glimpse of the horrifying reality of "the other place" - a place where no one wants to go. 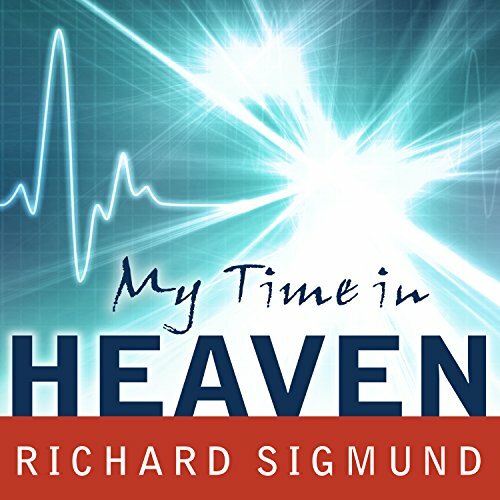 Would you consider the audio edition of My Time in Heaven to be better than the print version? I have this book in Audio and also have bought two paper back books to lend out. Everyone who I have lent it to loves it and one Sunday school teacher is using it for her class. 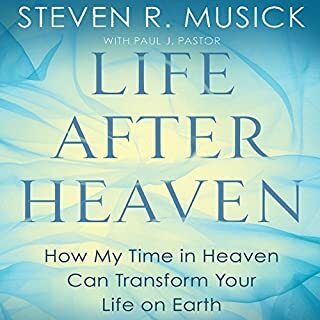 I highly recommend this book for anyone interested in how live in Heaven will be. concerning heavenly visits, this one seems to ring true to all other accounts, at the same time, giving different or more in-depth account than most others. You will be uplifted, especially if you have just lost a loved one to Heaven. It gives great detail in how the new arrivals are welcomed and celebrated by the Father's love. So beautiful and uplifting. one of the most detailed books about a heavenly visit. The narrator did an excellent job that kept the story alive and kicking. A must read in my book. learned a few things from this book. I loved his descriptions of all his experiences. I was listening late at night, and found myself dreaming that I was in Heaven with him. It was so real. Amazing journey! I've read a lot of books about heaven, this is the best of them all. What disappointed you about My Time in Heaven? If you haven't read the Bible in its entirety at least a couple of times, steer clear of this one. There is so much extrabiblical going on here that I can't possibly fit it all in this review. Of course, in books about NDEs and Heaven, one expects some requisite extrabiblical content that is food for thought, but this brought it to an unprecedented level. Reading books about Heaven is sort of a guilty pleasure of mine, but this one turned me off to the entire genre for the foreseeable future. I believe that Scripture is completely sufficient, and I believe to the depths of my soul that Heaven is very real. If you believe the content of this book, I certainly don't judge you, but I do disagree strongly. This book reeks to me of utter fabrication. The author forewarns us at the beginning of the book something to the effect that everyone will experience Heaven differently, which is why this work might not match what others have said. Later on in the book, immediately after alleging that Jesus made a pair of six foot, white parrots appear from his hands, the author contends that we might need the help of the Holy Spirit to believe that this act occurred. I both shuddered at the blasphemy and laughed quietly at the absurdity. If God exists to dole out material wealth and Heaven is 99% human-centric then the author must be spot on. He insists that everyone gets a mansion of varying size with gilded lawn furniture. At some places he seems duplicitous, backpedaling a bit, emphasizing briefly that the best rewards will be for those who didn't want them, yet piling on more of the same in the next paragraph. Well, I don't want any of those material things and it depresses me just thinking about it. Being in God's presence will be enough. I don't think the relentless emphasis on the material is in line with Scripture, either. The author exalts himself on several occasions, not so subtly. He speaks of how he received accolade for being a child preacher. Even if this were true and I heard it of myself, I would not be comfortable putting that in a book. "Revivals that I had been involved in since I was a child." Ultimately, this was one of maybe two audio books that I could not finish. I made an effort, but after two and a half hours of it I could not endure any more. If you were able to finish it and, at the end, the author somehow admits that it was only a prediction of what Heaven might be like, then I take it all back. Something of a different genre. Something a bit more spiritually edifying or at least entertaining. The dialog was just awful. I think Patrick put in a noble effort based on the writing put before him, but ultimately it was just terribly cheesy. The voice of Jesus made me want to turn off the recording several times. Honestly, I really can't think of any. This book gives Christianity a terrible name. That's saying something, because to me Christianity is a huge part of who I am. 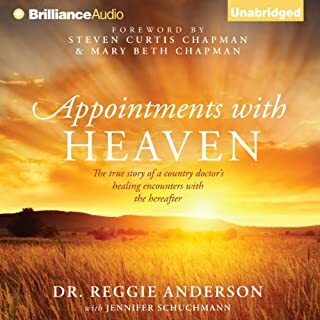 Amazing & very comprehensive account of Heaven!! The narration is a bit of a challenge to get used to but the sheer awe inspiring awesomeness of the content will help you get over that! I will be listening to this one more than once!! Nothing short of replacing the author could have made this a 4 or 5 star. The author is very bias by his religion and this book isn't for everyone especially those who are not Evangelical Christians. I found the story flat and drab. Combine the above with the bible quotes that serve to suggest how one should act on earth, it drove me insane. Has My Time in Heaven turned you off from other books in this genre? I did not feel the spirit testifying to me. I can not accept the truth of it.